Hi girls! I hope you're all having a great week so far. 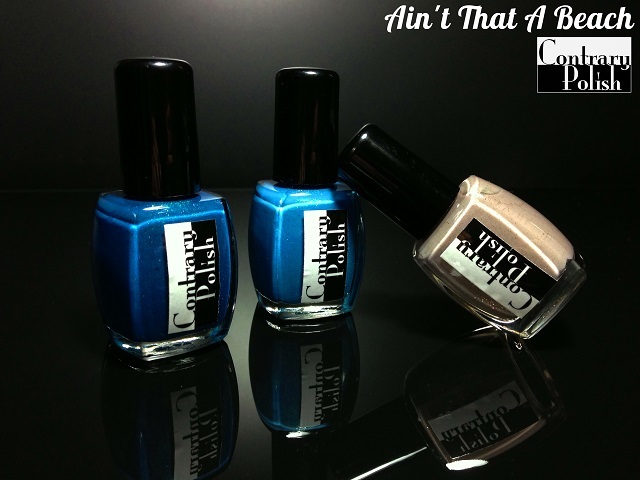 So I'm back today with one of my favorite indie brands : Contrary Polish! The Ain't That a Beach collection is a trio of shimmers, something that Carrie, owner and creator of the brand truly masters. Formula was spot on and really consistent in the entire collection : slightly sheer but even, easy to apply and completely opaque on the second coat, a dream to work with! Contrary Polish Sand is a warm taupe with gold shimmer and brown micro glitter. I usually love taupes, even more so when they have gold shimmer like China Glaze Ingrid or Dior Exquis so it's no surprise I really love this one too, especially with that extra touch of brown that sets it apart from the rest. This is 2 coats plus topcoat. 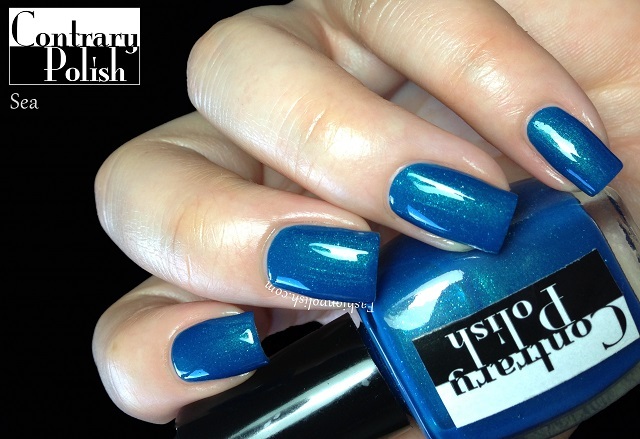 Contrary Polish Sky is a medium blue with gold shimmer and blue micro glitter. I love everything about this polish, it's slightly muted and bright at the same time thanks to the shimmer/glitter mix, another stunning blue addition to the CP line. I also used 2 coats plus topcoat below. 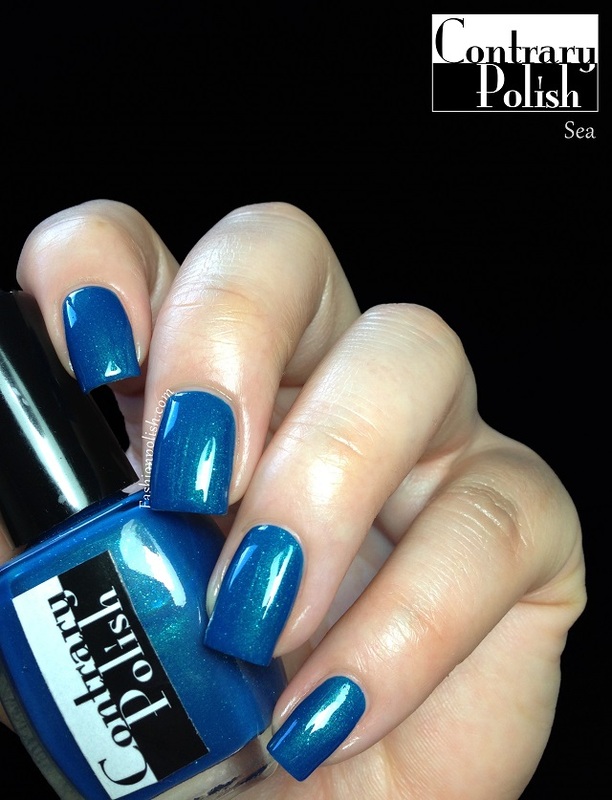 Contrary Polish Sea is a vibrant darker blue with bright green shimmer and turquoise micro glitter. The shimmer isn't the strongest ever here but it's so contrasting that the polish looks seriously intense on the nails. Did I mention I love blues? This is 2 coats plus topcoat as well here. For more information, please refer to Contrary Polish's Blog, Facebook or Twitter.